The phone rings. It’s your lender or REALTOR®. Your home appraisal just came in below the negotiated sales price. What was shaping up to be a smooth home purchase just got rocky because the lender won’t loan the amount the buyers need to buy the home. With uncertainty surrounding properThe phone rings. 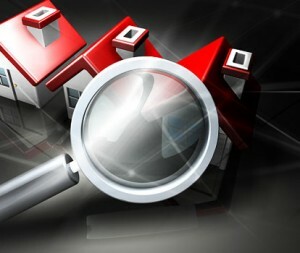 It’s your lender or REAty values across the USA, a low property appraisal has become much more common. Appraisers aren’t villains, but they can be your worst enemy at times. Because inflated appraisals are much to blame for the housing boom and crash, appraisers’ jobs are literally on the line every time they set a value of what a home is worth. Due to the heat and scrutiny that appraisers face, they are much more critical about every property that crosses their desk. The rules have changed and lenders can no longer select the appraiser as it was felt that sometimes the appraiser was influenced to bring in whatever valuation was needed to put the deal together. And that may have contributed to inflated property values which then lead to the real estate problems we are trying to work through. So what do you do when such a situation arises that could kill the deal? First, stay calm and don’t assume the deal is lost. Get in touch with your real estate agent and run through the options. Working with an experienced agent that knows the market is crucial when dealing with the pitfalls of a low appraisal. Where is the appraiser based? Did they perform an appraisal in a housing market that they may not know well? Did the appraiser have adequate information about the subject property? Did he know about all the upgrades, any recent renovations, or landscaping? Did he have information about less obvious factors like a unique fireplace, rare light fixtures? Highlight the selling points and information about your home that makes it stand out. Have your agent provide the appraiser with a list of these and little known benefits the neighborhood offers like schools, parks etc. Sometimes being under the gun to get the appraisal done, the appraiser may not notice or know these nuances. Carefully review the appraisal report and make sure there were no errors or omissions. Perhaps hardwood floors or granite countertops were items of value that the appraiser overlooked. Maybe he missed a room, bathroom or guest quarters. Is the square footage accurate. Did he account for the number of garages, fireplaces, and so forth. What were the comparable properties that were used in the appraisal? Were the comparable properties fair? Oftentimes, agents involved in the transaction have actual knowledge of the comparable properties, and can assist the appraiser. Your agent can help to submit other comps that may be better suited to your property for the appraiser to reconsider value. After providing an appraiser with a handful of further pertinent comparables, the appraisal can sometimes be adjusted to come in at the contract sales price. The appraiser may or may not be willing to adjust the numbers, but they should consider all pertinent information, in order to do the job they are paid to do. If the appraiser is standing firm on their assessment of the property, speak with your lender about the possibility of ordering a new appraisal. The lender does have the ability to override the appraisal estimate (very unlikely to occur) or order a new appraisal (more likely). If a new appraisal is ordered, talk with your REALTOR® about somehow splitting the cost. Perhaps the listing agent and selling agent and seller will split the fee in order for the buyer does not have to incur the additional costs of a new appraisal. However, if the lower appraised value is in line with prices of comparable sold property, then it is unlikely that it will change with a new buyer or appraiser. If the home buyer desires the home badly enough, making a larger down payment may be a possibility. One issue here is that by having the buyer pay more down, it establishes negative equity in the home. That is, the amount of the loan plus the larger down payment is greater than the appraised value of the property. It should be noted that even if the buyer is willing to take this risk, the lender may not approve a loan under these terms. Having an appraisal come back below the contract sales price may open the door to re-negotiation between the seller and buyer. A little give-and-take has probably taken place up to this point, and both parties may want to continue negotiating in order to bring the property to close. Given the situation, the seller may be willing to negotiate to save the sale of their property. However, if there was a hard negotiation on sales price and inspection items, the seller may not be willing to take this course of action. At the end of the day, all parties want to see the property appraised at a fair value, which should be as close as possible to the contract sales price. The thing to remember is that a low appraisal does not necessarily mean a dead deal. If buyer and seller are motivated, most issues can be resolved. The bottom line is that no one can force you to buy or sell a home at a price that you are not willing to accept or pay. Although a low appraisal throws a glitch into the deal, always remember that You are in control.